There are book clubs — and then there are Shakespeare book clubs. In the late 19th century, Shakespeare clubs sprouted up all over America, giving their members (who were primarily women) the opportunity to read and discuss Shakespeare and pursue a life of the mind not always available to them in a traditional educational setting. 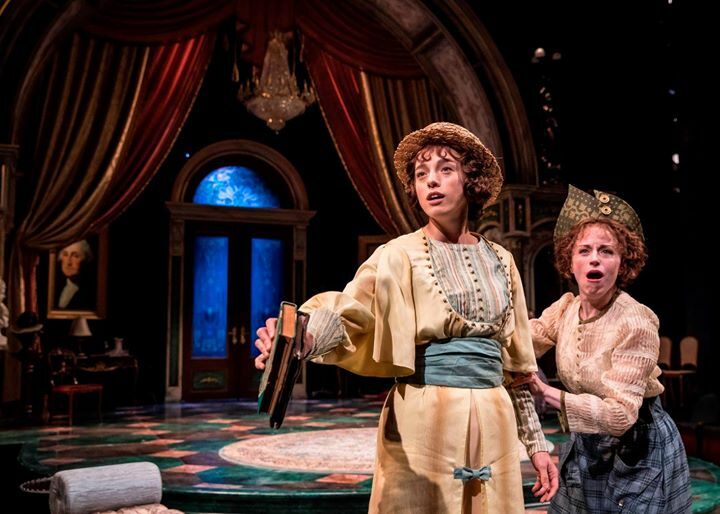 For Chicago Shakespeare Theater’s 2017 production of The Taming of the Shrew, playwright Ron West created a new framing device that both celebrated and parodied these women’s clubs. Set in 1919 on the eve of women’s suffrage, the “Chicago Women’s Society” is determined to beat their rival organization, the “Columbia Women’s Club,” and complete the canon by performing Shakespeare’s fraught play. It was a handsomely produced piece with a top-notch and diverse cast, and the framing device allowed the audience to examine the status of Shakespeare’s characters through the prism of women in 1919 and see how much (and how little) has changed. Today it’s not unusual to see theaters sponsoring monthly or semi-regular meetings devoted to reading and talking about Shakespeare’s plays: Colorado Shakespeare Festival and Nashville Shakespeare Festival are two examples. Some people, of course, just form their own groups in the privacy of their living rooms. I myself am part of the grandly-named North Shore Shakespeare Society, an incredibly elite organization consisting of only my wife and I and two other couples, divided in equal thirds between practitioners, civilians, and academics. What the NSSS gives me is the opportunity to read and discuss Shakespeare in a fun environment where there’s no pressure to interpret the play, or be tested on it, or to in any way get it right. We’re simply free to dive into the plays and explore them for all the pleasures (and occasional frustrations) they can bring — and to discover themes I hadn’t considered and unique perspectives offered by my fellow NSSSFits. We also drink. This month our Shakespeare book club is discussing Love’s Labor’s Lost — what better play to read right around Valentine’s Day! We meet next Tuesday, the 26th. All are welcome. Bring wine. Are you or your organization involved in a Shakespeare book club? How does yours work, and what pleasures does it bring? Let us know in the comments below! There are many reading roups here in the areainland from Nice and Cannes. many are for English speakers, but the organisers want to dominate and tell you what to think. I have been wanting to organisr one myself, but owing to the pressure of work, I haven’t yet done it. You’ve given me a new lease of thought. I’ll have to get cracking. I have organized and started two Shakespeare reading groups in retirement communities in Sarasota, Fl. Both are thriving. They meet weekly, assign roles, read one act each week, and then discuss what is happening here…who, what, when, where, why. What is Shakespeare saying, how is he expressing what it means to be human? One of the purposes is to make Shakespeare less intimidating, and to enjoy the language. I’ve watched people open up, and come to understand and learn what they didn’t know. (Disclosure : I was a teacher, but not literature).